Our second dose of snowfall this winter and my second day off work due to the disruption it causes. Being a teacher in a rural school has its perks at times 😉 The most pressing task for the day was to build Olaf the snowman with my three and two year old and once that was done I managed to take some pictures around the garden. 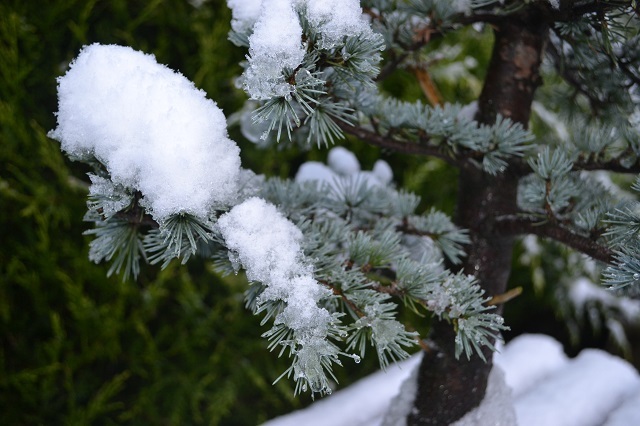 Its surprising how much more attractive a layer of snow makes everything seem. I hope to get out later for a walk with the camera as well. This first slideshow if of pictures from last night because I didn’t think the snow would lie. The garden is looking pretty bleak at the moment as you’d expect. It was pleasant this morning, however, to get out with the camera while the sun was shining and record some winter images. I’ll probably post updates regarding individual trees as and when I work on them during the winter or into spring as I think about root pruning. 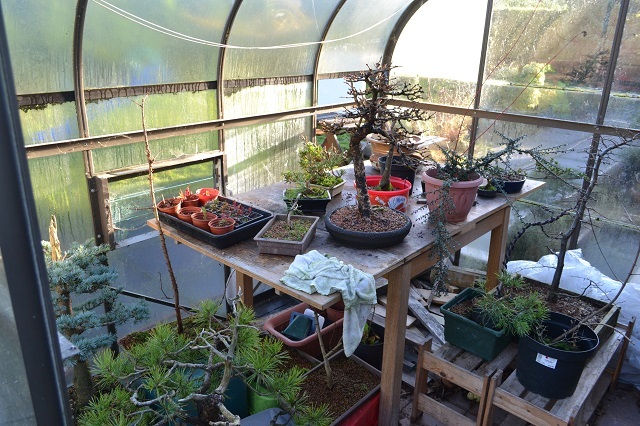 After some frosts the past few nights and a flurry of sleet this afternoon, most of the trees are now in the open greenhouse. I say ‘open’ because the door has come off and there are two panes missing 🙂 Still provides necessary protection from the worst of the weather though. 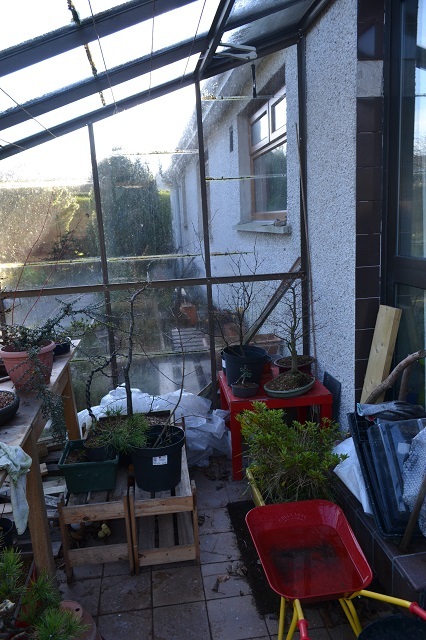 I tend to move things in and out during the winter depending on what I want to look at out of the window and what needs the most protection from wind, excessive rain and frost.